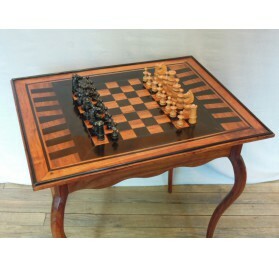 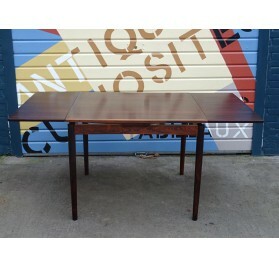 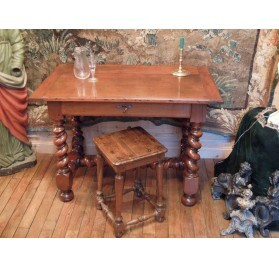 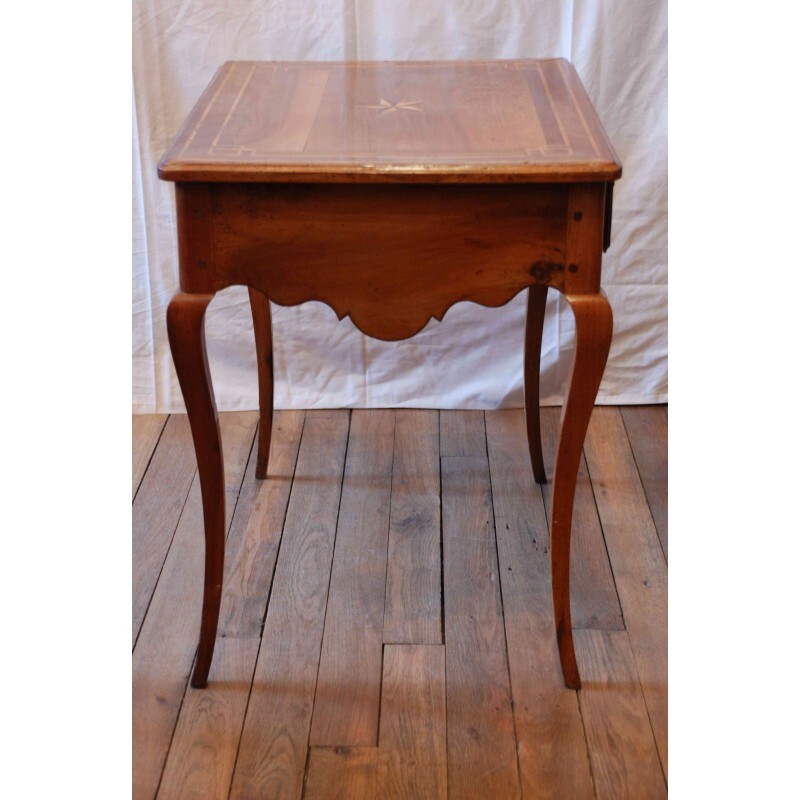 Home > Furniture>Tables>Walnut table, Louis XVI era, 18th c.
Walnut table Louis XVI era. 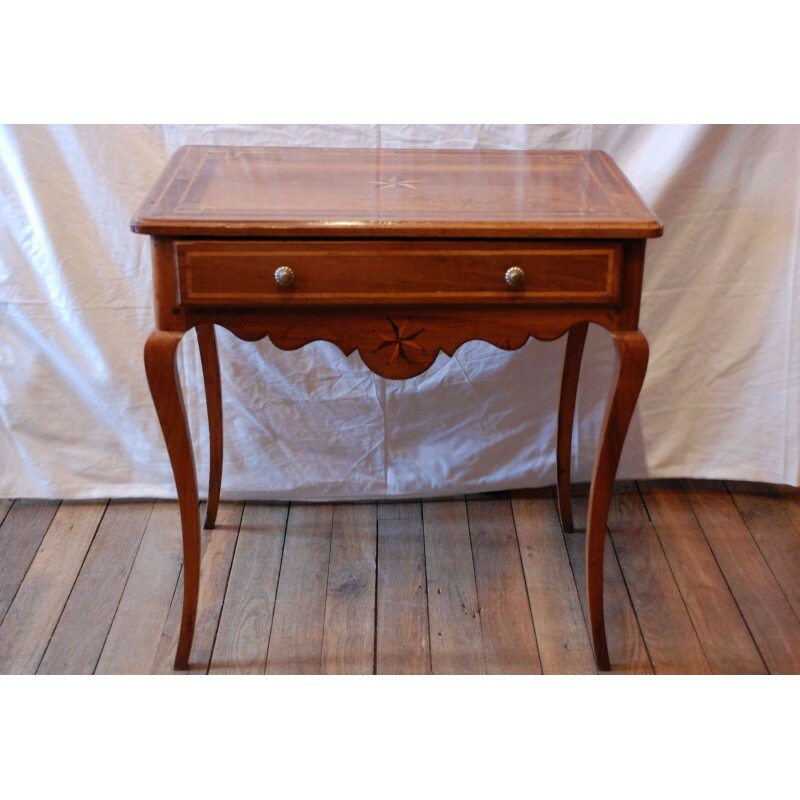 Pretty small walnut table, Louis XVI era. 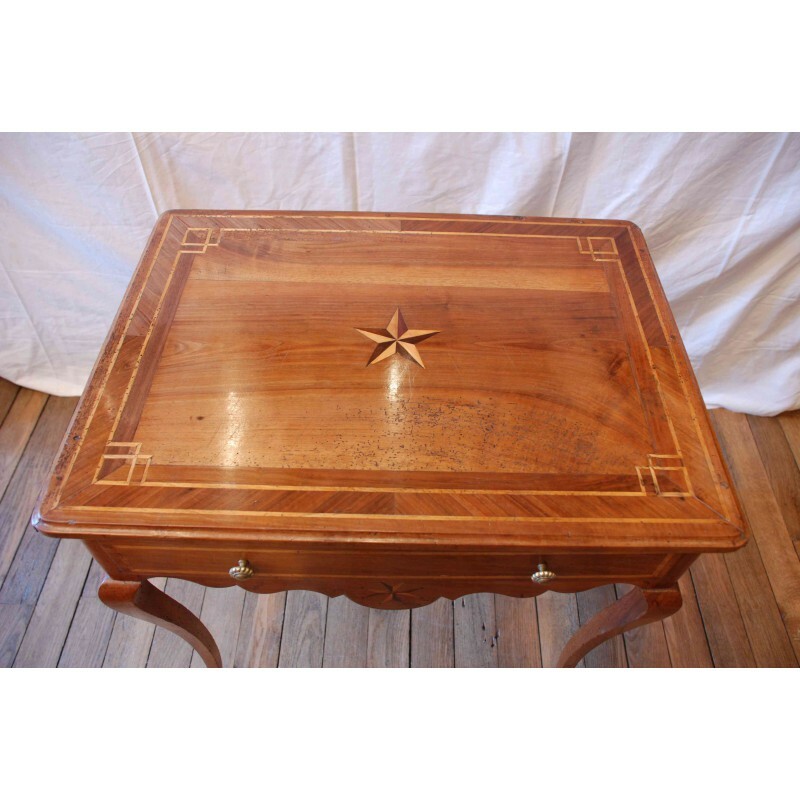 Star inlaid decoration on the top with a light wood string. 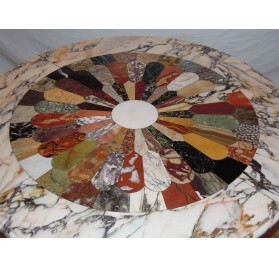 Mahogany veneer pedestal table, marble top.It rests on 3 pilaster jambs. 19th century. 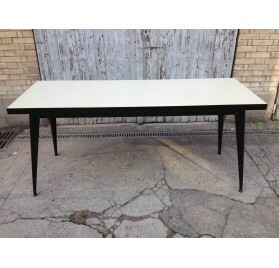 Vintage large refectory table, freom the Tolix brand (design by Xavier Pauchard).Frame black lacquered and top in original Formica. 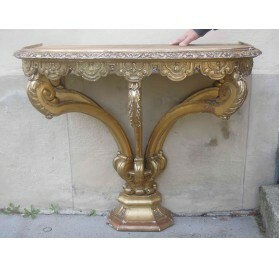 Italian console in carved and gilded wood.Breach marble top.19th century. 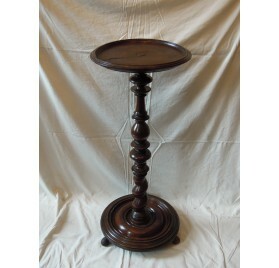 Pedestal with marquetry marble top.Base in cast iron from french Restoration period. 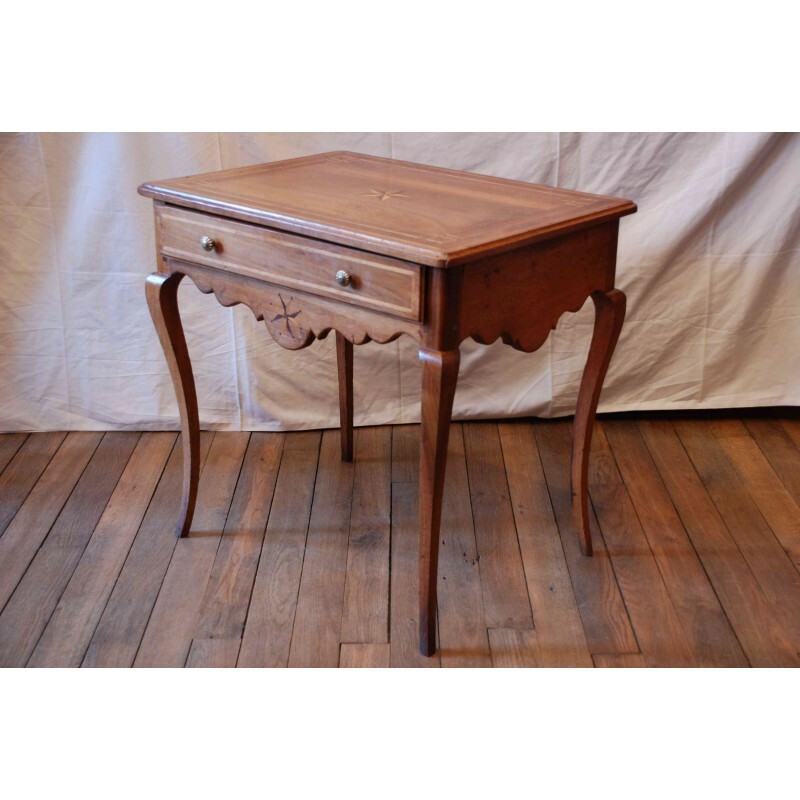 Walnut table of Louis XIII period, 17th c.
Walnut table Louis XIII era, twisted legs and double strut with H shape.Top with sockets and frieze drawer.Work of the 17th century.